I’ve been seeing more and more anglers on and in the water recently. Some of them are fishing from boats, some are wading, others are fishing from docks or shore. Some of them are catching fish, some aren’t catching too much. If you want to catch more fish early in the fishing season, following are some ideas for doing so. Early in the season you need to understand a little bit about the fish you’re chasing. In the Midwest you can chase several species of fish on the same body of water. Keep in mind that, depending on where you live, northern pike are probably spawning or may even be done, walleyes are spawning or getting very close to doing so, and bass and panfish are getting ready to spawn. 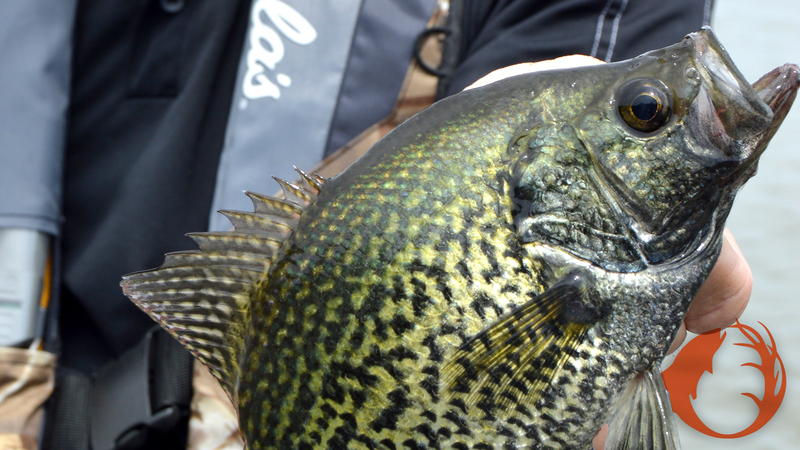 While you might want to catch walleyes, you will be better off trying for pike or panfish. When fish are spawning, that’s what they have on their mind. They aren’t real interested in eating, so, although some males might be willing to eat your bait, if you just want to catch something, you’ll increase your chances for that if you try for pike or panfish. Also, keep in mind that the water is still pretty cool, and many fish don’t want to chase a bait in cold water. A slow presentation will often be best. If walleyes are the target, try crawling a stand-up Fire-Ball jig tipped with a minnow across the bottom. Give it plenty of stops as you drag it. The stand-up head is better this time of year, as it “stands up” when you stop it. The fish can see the minnow better with the stand-up head, which increases your odds for getting bit. That’s true for most other types of fish as well. A spinnerbait that’s retrieved slowly will be good for pike, but an Impulse Jerk Minnow rigged weedless and worked slowly will be even better. If you are in an area that allows multiple lines, strongly think about putting a four or five inch minnow under a bobber out there. I’ll bet that bobber goes down if there’s a pike in the area. Kevan Paul caught this spring-time crappie on a small jig in Clear Lake in north central Iowa. You can do the same wherever you live. If crappies are the quarry, hook a small minnow onto a 1/32nd ounce Fire-fly jig and fish it under a slip-bobber. Another good option would be a jig/plastic combination, something like an Impulse Jig’N Tail Bloodworm. These tails quiver with just a bit of rod-tip action, and that really tempts reluctant panfish. The slip-bobber will allow you to suspend a bait at a certain level, and that’s a very important consideration at any time of year. You’ll need to experiment to determine what the proper level is, but once you do, you’ll be able to get fish to bite that may have gone uncaught. Remember that most fish see up better than they see down, so set your bobber stop so the bait is at the fish’s eye-level or just a tad higher. Baits that are below a fish rarely get eaten. When you’re fishing with a slip-bobber for panfish, remember that because the bait is almost motionless, the fish are going to be able to get a good look at it. Many anglers go with lighter line to reduce the chances of the line spooking the fish. Also, small baits perform better. Four pound P-Line CX Premium is pretty much invisible, very manageable, and an excellent choice for this application. Keep these ideas in mind and you’ll increase your chances for early season fishing success.